A year ago, I suspect the blogosphere was in fits over Egypt. The army had allayed the fears of those suspecting an army takeover and two candidates were in the run for the presidency: Morsi, sponsored by the Muslim Brotherhood, and Ahmed Shafik as the spectre of the Mubarak government. Religion has a habit of screwing over the political spectrum. For many secular Egyptians, a vote for progress paradoxically became a vote for radical Islam; meanwhile Shafik bled nostalgia for the very system that the elections were intended to reject. What a caricature – a revolutionary is meant to be spoiled for choice! There was a quiet wonder, though, which seemed to skip over foreign commentary like a pebble on the sea – waiting to drop. Morsi proved to be the first real triumph for Islamism, even by the eyes of the West; Sharia nestled into the ballot station, and it did so unarmed. It won a free election. But today the paradox proved to be unraveling. The thousands marching in Tahrir Square and outside the presidential palace tells us that last year’s polar election was not as theatrical as we might be led to believe: it was not interpreted as a choice between theocracy and militarised oligarchy, but on principles which seem both secular and moderate. The army deflected Morsi’s Islamic dreams from the law and revealed his poverty of solutions to the economic crisis. When people found poverty they did not turn to extremist Islam, but judged it by what it delivered and found it wanting. Islamism fought the election, and won; but then it realised it had chosen to answer questions on which it had little to say. Unsurprisingly, Morsi’s popularity has plummeted from 79% last autumn to a mere 32% today. 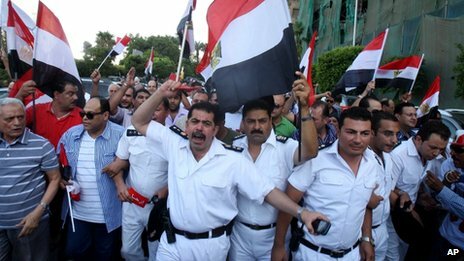 A lingering fear does of course persist: the Egyptian army now holds more authority there than Turkey’s did under Atatürk. Protesters in Tahrir Square demand Morsi step-down; it’s not the constitution to which they are opposed. Rhetoric, though, screams revolution – worryingly fitting given a military presence forced to live up to the expectations it has set itself. (There is currently speculation that the presidential palace is being left unguarded.) 32% is a low approval rating, but one not a lot lower than David Cameron’s in the UK. So where does the revolution lie? In the pockets of benevolent army officials, the footsteps of Cairo, or the grim calm of the ballot office? Everyone thinks they have power but only time will tell who is able to assert it. Ian Brady’s ongoing plea for sanity registers some important contentions with legal prosecution. Here, I’ll look at a few of their psychiatric implications. Click for source. Hindley’s dead. 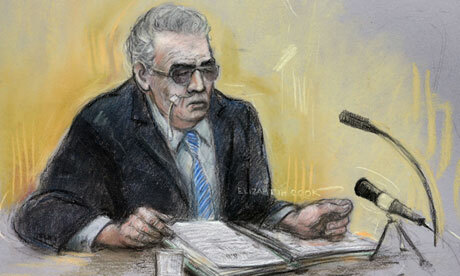 Since 1985, Ian Brady has been clinically insane. That he soon might not be, seeking as he is the chance to commit suicide in a regular prison, is testament to the awkward authority held by criminal psychologists: because they represent that attempt by the modern state to incorporate the individual, with his emotional and ritualistic instincts, into its own process for calculation and systematisation, a conflict between the gradient reality and binary bureaucratic world that interprets it. Bleak though this is, so much hinges upon a declaration of sanity: it is the distinction between the validation of a person’s outlook and its relegation to the condescending majesty of the clouds. But the delusion is ours if we pretend the outcome is in anyway proportional to the assessment. In some ways, the mental eclipse being classed as mentally ill is more severe than death: by relying on the highly subjective interpretative techniques of psychiatry, it can transform someone’s life irrespective of broadly understood hard, powerful evidence. The BBC has a few such examples: Stuart Harling found that “hurling papers from the dock and shouting threats” somehow lacked persuasive force, the jury rejecting his plea to insanity. But it is also suggested that in instances where the punishment may be capital punishment as many as 22% of pleas are fabrications. How many have escaped the system, and how many miscarriages of justice has it made inevitable? When Brady was first diagnosed, he now says that he was “method acting”; he understood the necessary prerequisites to be moved to a mental hospital, and exploited their shortcomings. If true, then something ominous is apparent: a sane person may rationalise his way into insanity only to be trapped like a fly in a jar. Suddenly every word uttered is the confirmation, however bleak or sublime, of a madman’s madness. It is the intelligent man’s dystopia. Psychology, Popper might agree, is empirical in its scavenge for laws: but it would rather create more than challenge the ones it discovers. By virtue of focusing on the atomised individual, psychiatric diagnoses can’t rely on objective analytical frameworks. The common tests, regulations and analyses to which the patient is subject simply cannot hope to account for the idiosyncrasies of the insane; it is a process inviting paradoxes that neither the sensationalist media nor its audience would feel qualified to investigate. But the result of this, ironically, is that scientists are more likely to make existing disorders seem so complicated that they become impossible to challenge – the prevalence of “multiple personality disorder” in the United States, at a rate ten times higher than in India, is one such illustration. Psychiatric treatment risks failing as a science of falsification. There’s a more moderate parallel in conspiracy theorists, here, and how society tends to treat them: consider Alex Jones, whose apostolic promulgations are so obviously deranged that no comment he ever now makes can affect the real world. He believes he has uncovered the workings of the Bildenberg illuminati or some other such global order; even the non-partisan BBC’s Andrew Neil invited him onto his show to call him a “madman”. But in Jones’ mind the colours are reversed, not negated: the rainbow begins with violet rather than red, but it is a rainbow all the same. His worldview finds consistencies where none exist to normal minds. But just as this process can produce those society reveals as geniuses, like Einstein, so can it throw him to the bins and mock them as they gnaw on forgotten food. Jones typifies the boy who cried wolf when he really believed he saw a pack of them. It is this which the law’s psychiatry needs to be able to explain. No mean feat. That the psychiatric experience has proven so ready to change does not offer much comfort here. In 1967, David Cooper wrote in his introduction to Foucault’s Madness and Civilisation that “madness has in our age become some sort of lost truth”; for him and his fellow anti-psychiatric contemporaries, sectioned patients were victims of authoritarianism, junkies being freed minds representing narcotic rebellion against the law. For all the obvious paranoia for which polemics were the cover, R.D. Laing’s “alternative” psychiatric hospital at Kingsley Hall proving ephemeral, a number of changes were brought about to official hospitals. Patients were treated less as material objects, and the utilisation of “labels” lost some of its simple ease and flippancy. The assumption that all mental disorders were biochemical was recognised as fruitless. However, these changes proved symptomatic of a system still struggling with its own internal rationalism, its purpose, methods and ideas able to offer visibly less than the legal system demands of them. None of this is to undermine the good that psychiatry and psychology clearly have to offer, of course. The trouble is that we still have no idea how to quantify it, which is worrying: a great deal hinges on an institutional process that many aren’t confident is even scientific. … this week. Following my month-long exam-related lapse of blogging, I’m returning with ideas for future (better) posts on which to write. 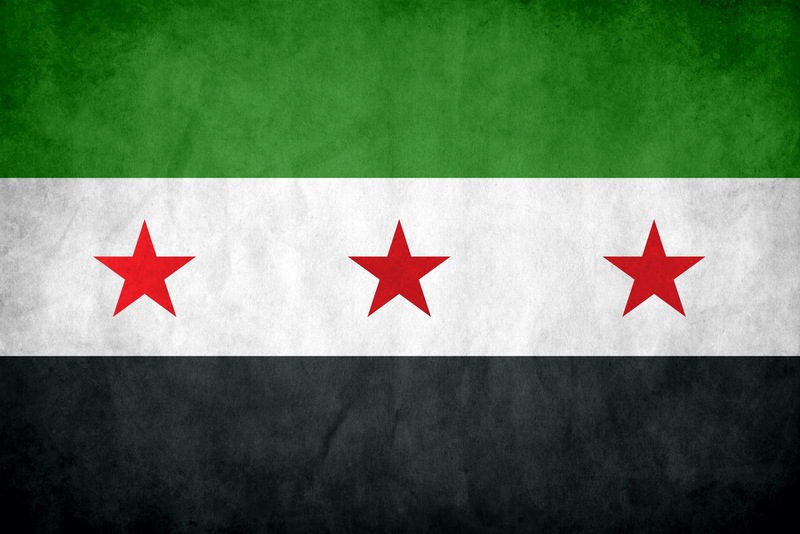 I noticed that my posts were becoming increasingly Syria-related. Now that theme won’t end, because it’s bloody important – not a pun, you terrible human beings – and because events are making me hate everyone who speaks about it. Internet openness: is the internet a microcosm of the real world? Should it be? Is it a part of the real world? What laws do, and do not, apply there? Is an anarchic vacuum being filled by the despots of the ancien régime? Ian Brady: do we let the Moors murderer die? Scant knowledge of psychiatry, as well as facts and philosophy (both legal and moral) will provoke attempts to disentangle a layman’s confused ignorance. Student politics: what it means, what it should mean and it what it will never mean. More microcosms, fewer answers – all brewed in the mind of a student bored with the moderate realities of university political circles. Marxism, Doris Lessing, narcissism. Something literary: random poem? Random poet? Finish a book or two, pretend I understand more than I inevitably will. Pseudo-polemicists and their love of populism: why middle-class societies should be sceptical of grassroots activism. To gravitate towards that very populism: any other ideas? Has Daenerys been reading Machiavelli? The last series of Game of Thrones was dark and full of terrors, but nevertheless ended with a pleasant glimmer: the freedmen of Yunkai receiving Daenarys Targaryen as their “mhysa” – mother. The mercenary captains are either capable men or they are not; if they are, you cannot trust them, because they always aspire to their own greatness, either by oppressing you, who are their master, or others contrary to your intentions; but if the captain is not skilful, you are ruined in the usual way. I conclude, therefore, that no principality is secure without having its own forces; on the contrary, it is entirely dependent on good fortune, not having the valour which in adversity would defend it. And it has always been the opinion and judgment of wise men that nothing can be so uncertain or unstable as fame or power not founded on its own strength. And one’s own forces are those which are composed either of subjects, citizens, or dependants; all others are mercenaries or auxiliaries. And the way to take ready one’s own forces will be easily found if the rules suggested by me shall be reflected upon, and if one will consider how Philip, the father of Alexander the Great, and many republics and princes have armed and organized themselves, to which rules I entirely commit myself. Only those with the steadfast love of their country will fight for it with true conviction. 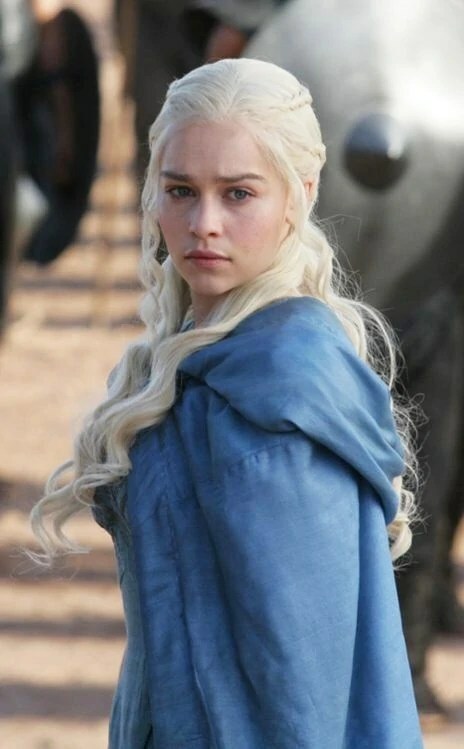 Consider, several centuries later (or before) how the best pretender in Game of Thrones has travelled from lonely sell-out wife to Daenarys the benevolent ruler of Yunkai. By freeing slaves. Turning her soldiers into citizens. 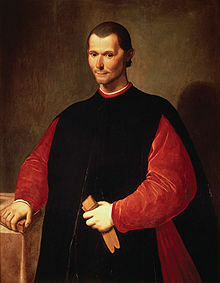 Machiavelli might be excused for having neglected the power of dragons and a pretty face but the point does, I think, stand.